In January 2004, the 70 particpants of the second edition of Bike for Africa followed in the footsteps of Winston Churchill and Sir Henry Morton Stanley in Uganda. The trail started at the legendary source of the Nile. Bike for Africa 2014 raised in total €140.000. Bike for Africa 2014 raised in total €140.000. These funds came from the participants’ entrance fees, for which they found sponsoring, from sponsoring partners, from sales actions organised by Brussels Airlines or by the participants, etc. The revenues have been split over two charity projects. Take a look at the film. Use of GPS mandatory and very necessary! Optional visit of the Ziwa Rhino Sanctuary, where we will have the chance to see the awesome, near-threatened White Rhino, the most social of all rhino species. BMorning boat trip to the falls. The mighty Murchison Falls drain the last of the Nile's energy, transforming it into a broad, placid stream that flows quietly across the rift valley floor into Lake Albert. 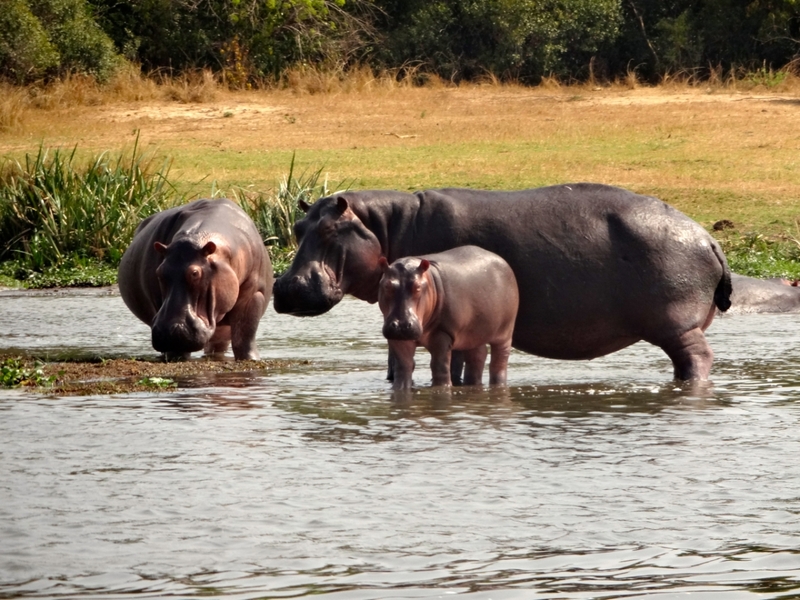 This stretch of river provides one of Uganda's most remarkable wildlife spectacles. Regular visitors to the riverbanks include elephants, giraffes and buffaloes; while hippos, Nile crocodiles and aquatic birds are permanent residents.